Competition Time!! We have an amazing prize for one lucky winner. The FIRST ever Vinyl Test Pressing of 'Grace & Glory'. This is a very unique prize and a must-have for any HK's fan! The winner will be randomly selected by our team at HKHQ and 4 runners-up will win a signed CD copy of 'Grace & Glory'. The competition is open NOW and will run until Friday 28th at midnight Dublin, IE time. 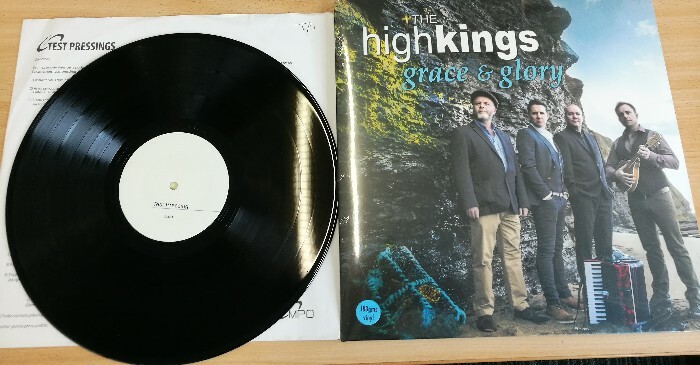 Click on this link to go and enter the competition; The HIgh Kings Vinyl Test Pressing Competition.